Hooray! This is very exciting. Congratulations! I like the cover art. Well, I mean it's very well done... very creepy. Thank you! It's been a busy year for me. I have three other stories that MAY be out by the end of the year, and I'm working on three others - not sure if I can do it all before the deadlines. And if you have a Kindle (or the Kindle reader software on your PC), I'd be glad to send you a copy - for free! That can all be done electronically. I can also (eventually) get you a paperback copy, but I'm still in the process of getting that set up... Someday, I may get a chance to read the book myself! P. S. While I am in the author credits on Amazon, Goodreads has my name attributed to a different K. R. Smith - I'm trying to get that fixed. It's one of the problems of being a Smith. Hi, I'm the K.R. 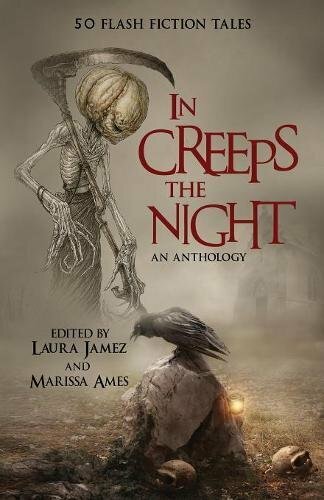 Smith that Goodreads mistakenly put 'In Creeps the Night' on my author's page, but I've contacted them asking to remove it so hopefully it will be sorted out soon. Thanks! With both of us notifying them, they will get it fixed eventually. This also happened with the "Haiku of the Dead" anthology, but they corrected that rather quickly. Considering how it turned out, I probably should have let you have the credit on that one!